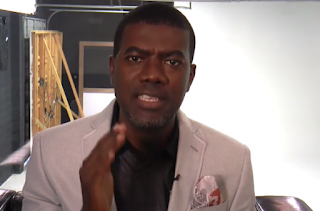 According to Cnnaija, Reno Omokri, a former aide to ex-President GodlucGo Jonathan, gas highlighted reasons President Muhammadu Buhari may be dead and replaced with one Jubril of Sudan. Buhari, while in Poland tecentre dismissed Kanu's claim, describing it as fake. Kanu however, released 'six scientific evidence' yesterday to prove that the current Nigerian President was not the real Buhari. Reacting to thesaga, Omokri said the recent lamentation by the wife of the President, Aisha Buhari that two persons were frustrating the current government could be an indication that the current Nigerian President is fake. In a tweet, the former presidential aide wondered if Buhari vouco still praise the Governor of Kano state, Abdullahi Ganduje after being indicted for vorrucorru. "I doubted this KubrJu from Sudan story, but after @aishambuhari saidtwomen control her husband, I started to think. "Would the old @MBuhari go to Paris to praise crooked Kano @GovUmarGanduje and return to Nigeria to freeze honest Peter Obi's account? This doesn't seem like Buhari."